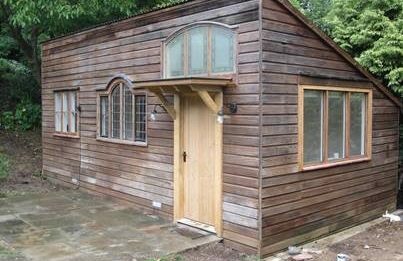 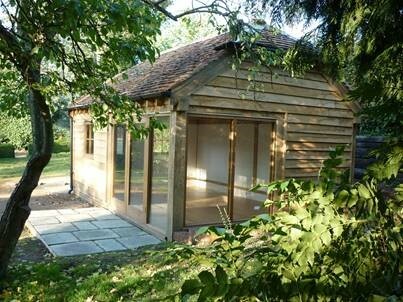 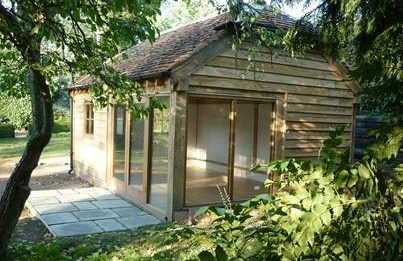 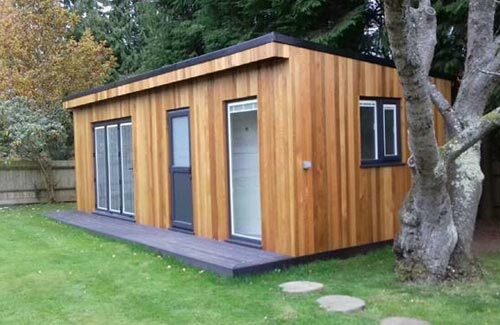 Many of our garden buildings, both new and refurbished, are built with all the facilities required for temporary or long term self-contained accommodation. 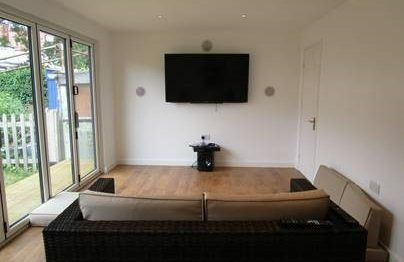 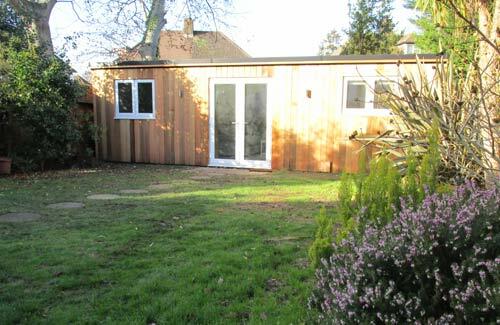 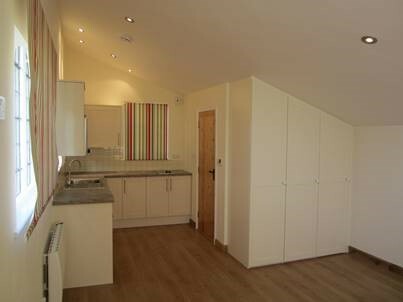 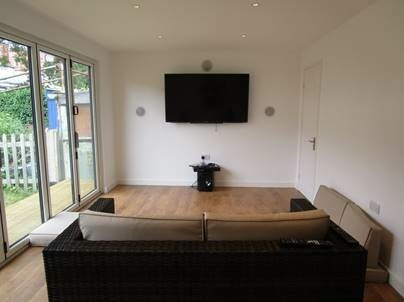 Despite calling them Granny Annexes, our garden rooms are frequently used for au-pairs and spare rooms for family or visiting friends, and make wonderfully convenient extra space. 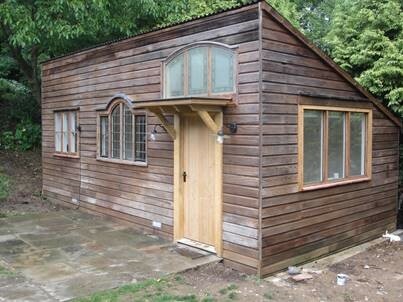 The true ‘Granny Annexe’ is as popular as ever though. 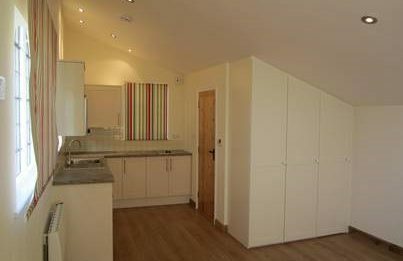 With the increasing cost of retirement homes it is both financially and emotionally rewarding to look after elderly relatives at home. 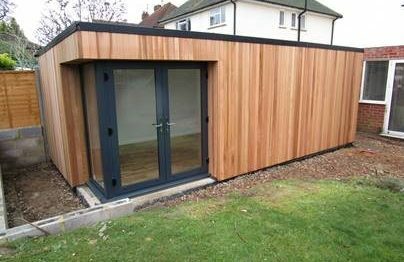 Most granny annexes are required to meet Building Control Regulations so construction and insulation is the same as if you were building a flat roofed single storey extension to your house. 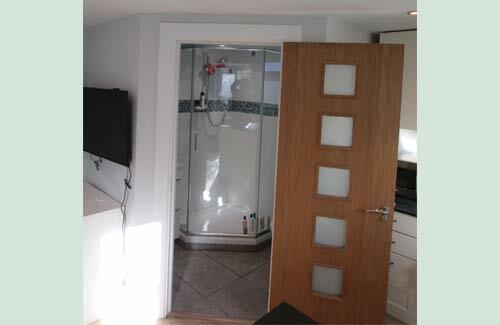 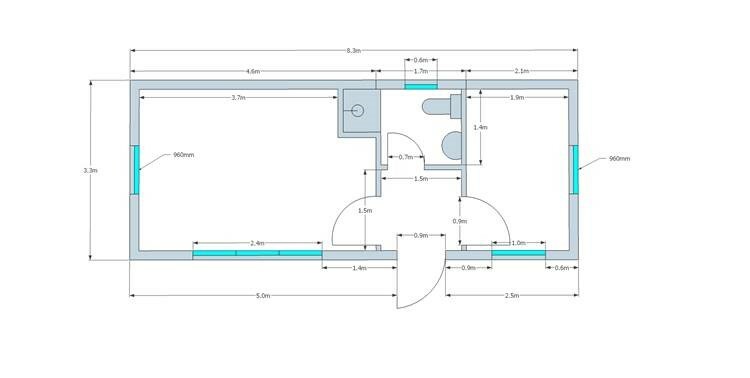 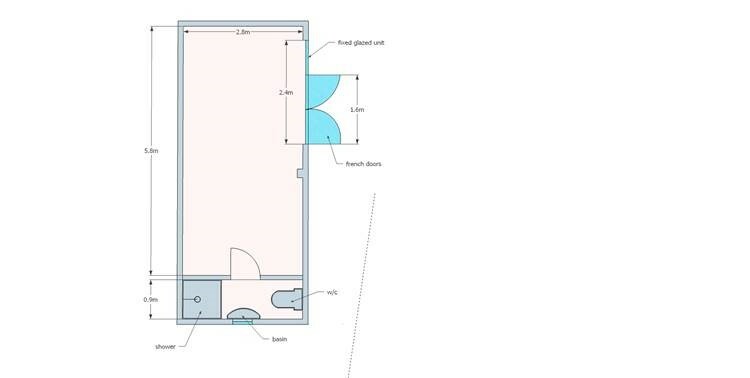 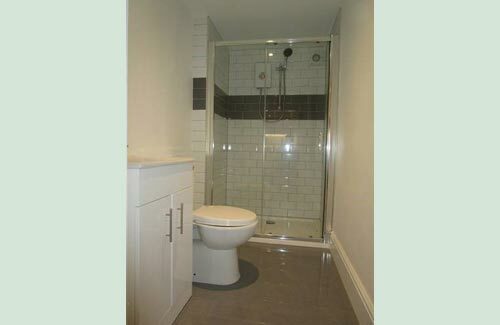 We offer options on heating and design of shower room, w/c and kitchen, which gives a wide range of possibilities depending on budget and size of building. 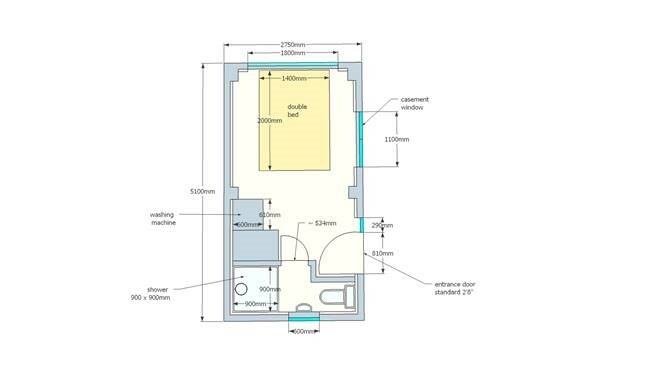 Buildings may include some but not all facilities, so a nanny annex could have a shower room and w/c, but as meals are eaten with the family there is no need for kitchenette. 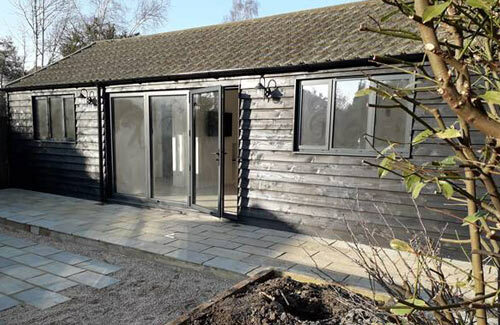 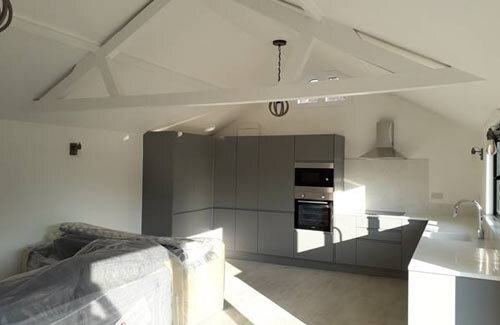 But as always our building are bespoke so we design them to your specification, making the most efficient use of available garden space and the easiest, most convenient and cost effective internal layout. 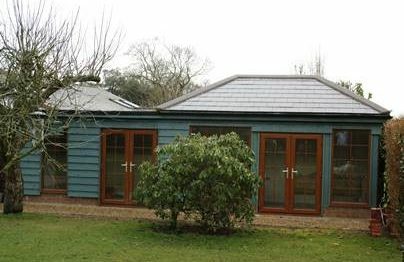 From the external viewpoint you may like the contemporary flat roofed designs or prefer the more traditional oak framed, clay tiled buildings. 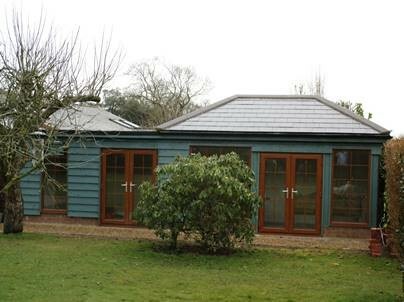 We can build both, though an advantage of the contemporary flat roofed design is that in most situations it can be built as a permitted development without requiring planning permission. 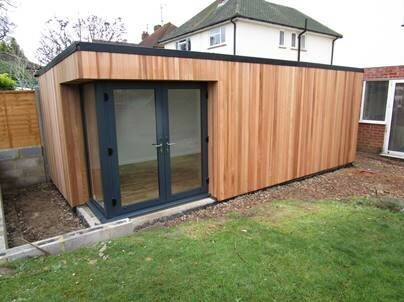 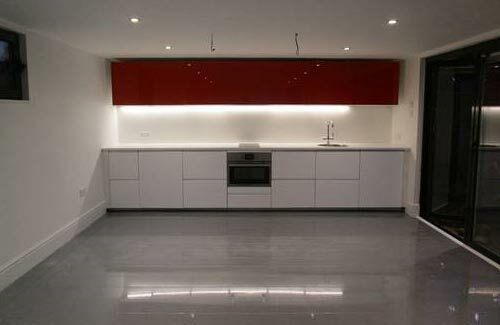 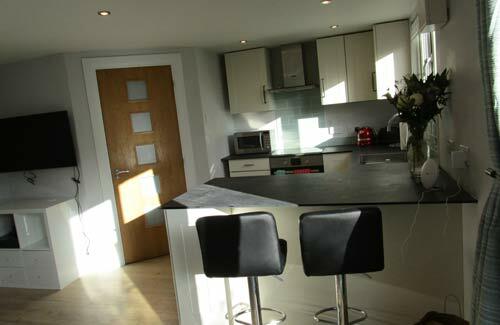 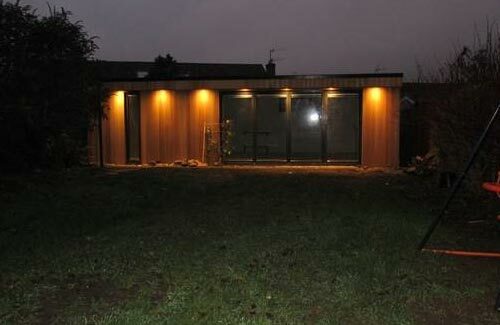 Planning permission is something we can advise on in each situation. 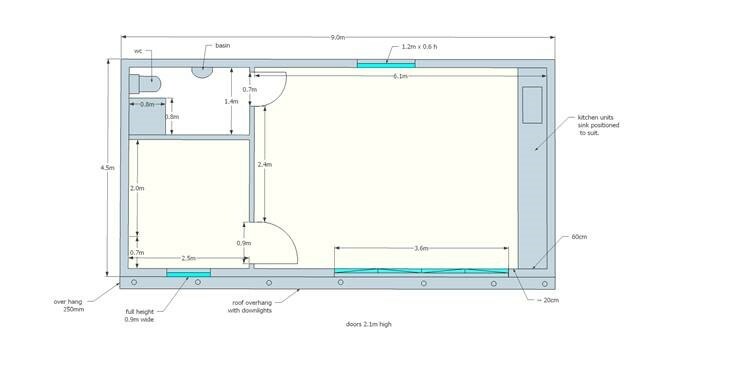 Included is a series of photos of buildings and floorplans which show various internal layouts that have been used on past projects.